… to a church without borders! 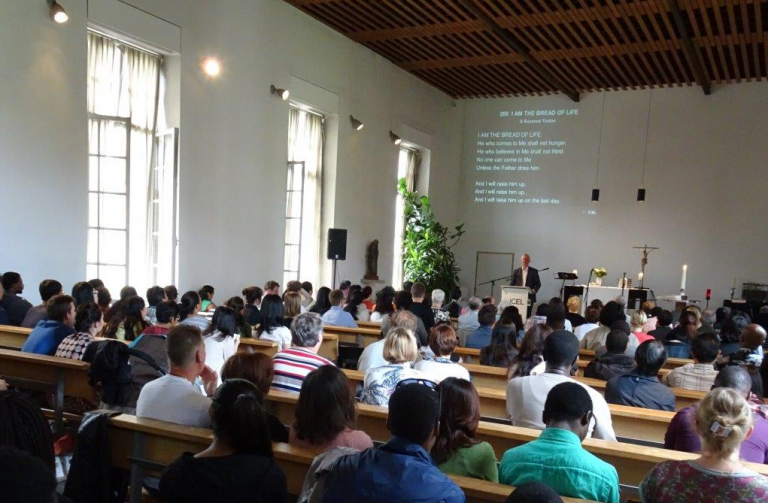 We are an international Christian fellowship with over 20 nationalities represented on any given Sunday (including our Belgian locals of course), a mixture of young and old, students and families and many children! We want to be a ‘home away from home’ for those who have come to study in Leuven or for families who are here for various reasons. Through the more than 3 decades that ICEL has existed hundreds have come and gone and the link is still strong with many. This makes us, what we want to be, a warm fellowship where Christ is central and His love is to be experienced by all. And finally we want to be a grass-roots church, where everyone counts and everyone can contribute. in the Chapel of the Pope College, Hogeschoolplein 3 in Leuven. Children have their own programmes suitable for each age (in Dutch), from babies and toddlers up to teenagers. 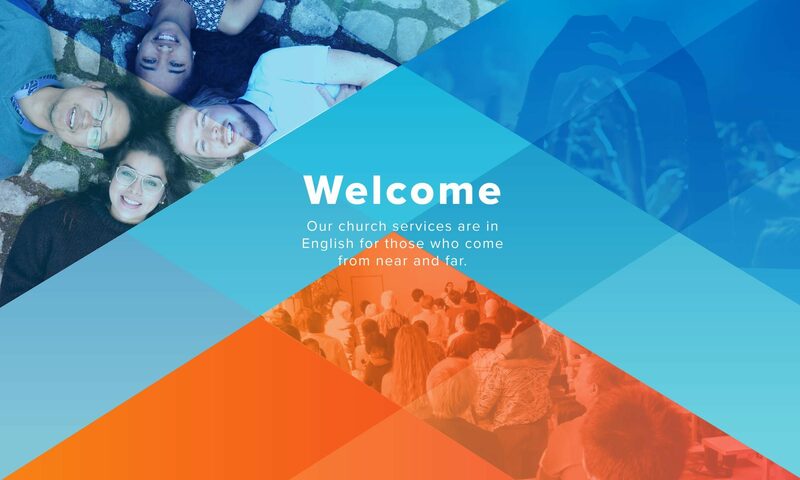 Besides the Sunday worship service and children's programmes, we have a number of groups meeting during the week to which you are warmly invited. Most of them take place at 'ICEL Connect', our venue located at Naamsestraat 106 in Leuven. A new, African, fellowship has started and will continue to meet (in English) monthly on a Saturday morning. 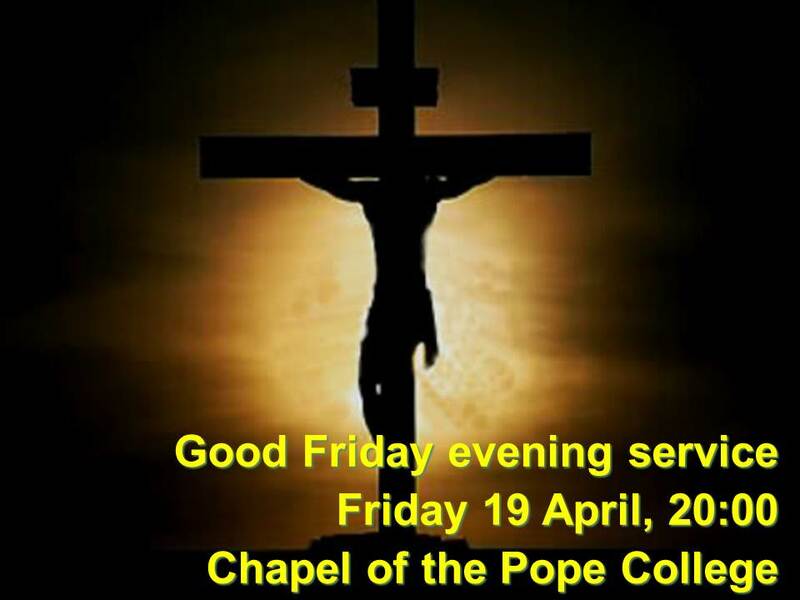 Feel free to join in from 10 till 12 in the morning. 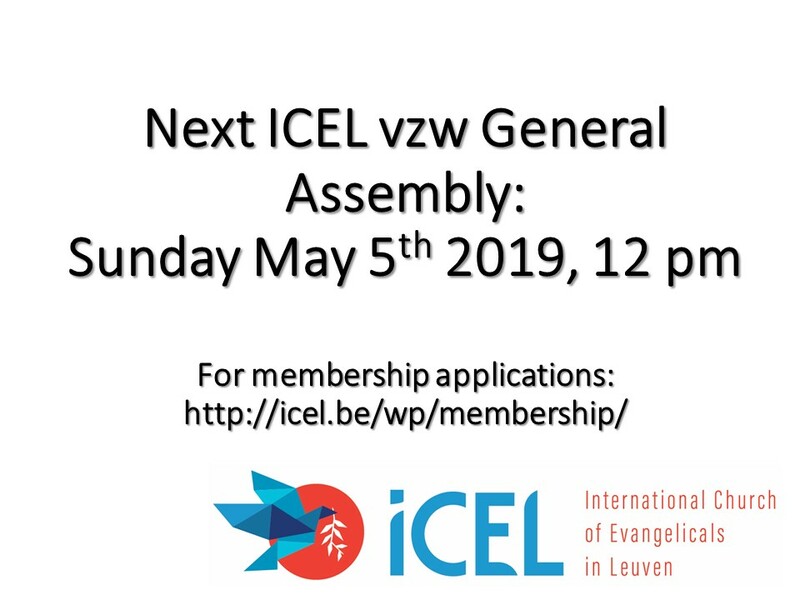 Venue: ICEL Connect, Naamsestraat 106, Leuven. If you'd like to see more and stay in touch with various events, get connected here.